AD-64/A is a compact manpack dipole antenna covering 225 - 2000 MHz, with 50W power handling, making it good for counter-RCIED and communications uses. 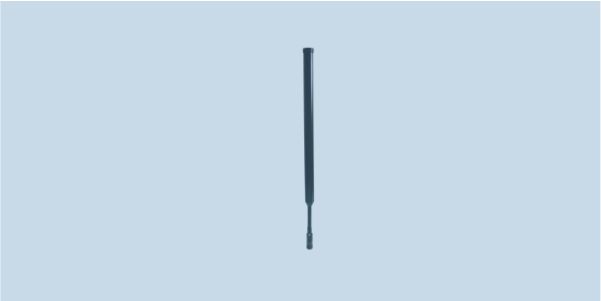 AD-64/A is an ultra widedband antenna for use with modern broadband software defined radio manpacks. The antenna is a sleeve dipole center-fed design thus enable to be omnidirectional and work without the presence of a ground plane. It handles 50W of continuous power. The radiator is fully enclosed in a fiberglass radome and equipped with the flexible goose neck allowing the antenna to be re-oriented as necessary.